How should I approach their family about paying for her emergency room bills and follow-up visits? When your child is hurt at a friend’s house, the aftermath can be especially difficult to navigate. Your first concern is making sure that your daughter is safe and able to get the medical care she needs to recover. But once the initial shock has passed, you may be faced with the possibility of ruining your friendship with the property owner in order to get payment for the medical expenses his or her negligence caused. Without more information about exactly what happened to your daughter, it’s difficult to give a clear answer about how to approach the other family. 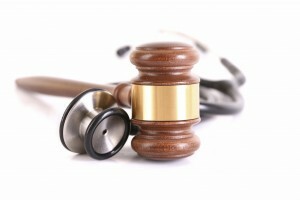 It is best to consult with our Orange County Injury Attorneys about your specific case. However, you don’t have to figure out your options alone. You can simply meet with a personal injury attorney for free and without obligation to ask questions, determine the next steps, and decide if it’s necessary to hire legal guidance in your situation. The Orange County injury attorneys with Russell & Lazarus have many years of experience representing injured victims in California, and we would be happy to meet with you today. Please give us a call at (800) 268-9228 to schedule a consultation and learn more.